Be it our home, or workplace, most of the air we breathe in our life, we breathe indoors. That is why the quality of the air inside a complex, home, or development is incredibly important, for both the tenant and building’s health. So, for any owner or developer, improving it should be a top priority. Improvements to air quality can come in all shapes and sizes. For example, there are a number of air-purifying plants that anyone can purchase at their local florist, at a low cost. Limiting the use of materials that contain VOCs, or volatile organic compounds, is also useful; that includes paints, cleaning supplies, and air fresheners. And while air conditioners can prove helpful in the summer, routinely changing out filters, in accordance with the instructions, is a necessity. The key is to remove air that is dirty and carries pollutants. One of the ways this air can get in without much notice is through secondhand smoke, which can rise up through rafters or vents outside. For air quality purposes, complex or homeowners should heavily consider implementing a smoke-free building code both inside and out, to ensure that occupants are breathing the healthiest air possible. But sometimes, it’s hard to see the culprit. Especially one of the most lethal kinds: mold. About 90 percent of households in America have levels of moisture that are too high, laying the groundwork for mold to grow. 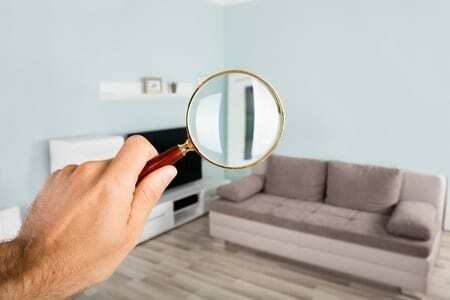 Pristine Inspections & Testing recommends the use of infrared testing to detect any existence of moisture intrusion that could affect air quality inside. All of our inspectors are Certified Residential Thermographers which give you tenants or homeowners a greater peace of mind, that issues can be identified properly. Pristine Inspections & Testing can test for over 400 airborne chemicals, along with mold and volatile organic compounds, smoke and formaldehyde. We deliver the accurate results you need to keep your home and building safe, so schedule indoor air quality testing today!